A new team of volunteer emergency responders in Petrolia is already inspiring other communities to follow suit. 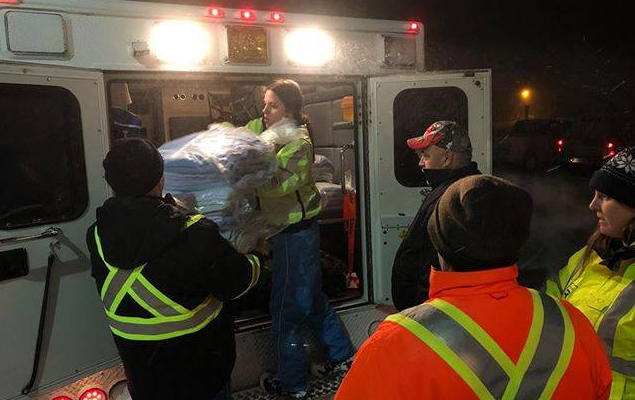 The Support Operations Response Team, or SORT, was created last July and rolled into the town’s fire service after provincial funding for the local CERV team, Community Emergency Response Volunteers, came to an end. Fire Chief Jay Arns said the 11 members play a huge role in emergency situations in Petrolia and neighbouring communities, such as setting up shelters and assisting first responders. Arns said they’ve already been deployed in emergency situations twice this year, including in Wyoming where motorists were stranded after Highway 402 was shut down. Arns said during emergency situations and longer duration fires, SORT members will conduct rehab, assist with accountability, do medical monitoring of firefighters, and basically look after anyone who’s doing work on a scene. Arns said the team is comprised of nurses, people with medical training, and those just interested in helping. He said those hoping to join the team must be at least 18 years old, and Arns recommends applicants have their CPR and first-aid training. Arns said the team will probably put in anywhere from 1,000 to 1,200 hours each year, and just like firefighters, they need to be ready at the drop of a hat.